Sports rehabilitation is the use of individualized exercises to restore the strength and mobility needed for participation in recreational or professional sports following an injury and/or corrective surgery. It differs from orthopedic rehabilitation namely in that it emphasizes more sport specific approaches. 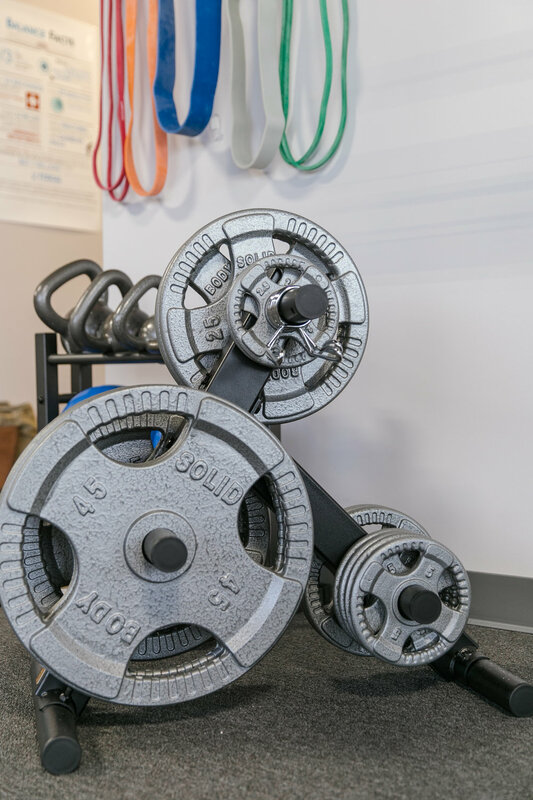 Our facility utilizes the complete range of equipment for an athlete to recovery optimally at a rate that is best for them, from gentle exercises immediately following surgery to challenging free weights and dynamic banded resistance prior to return to sport. It is not uncommon to discover flaws in body mechanics that contributed to the initial injury and can be addressed to prevent future re-injury and improve athletic performance. Physical therapy is just the beginning of an athlete's return journey. From professional athlete to weekend warrior, here at Fyzical we have the tools to push you further.